Tamara Narayan, Pat Hatt, Patricia Lynne, Juneta Key, and Doreen McGettigan! This month's fantabulous question: What is one valuable lesson you've learned since you started writing? And, back to the drawing board I go. 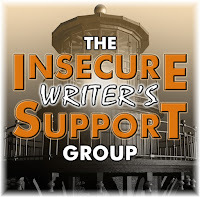 Congrats to the IWSG for getting into the Writer’s Digest 19th Annual 101 Best Websites for Writers! Since I'm cohosting IWSG this month, I'm going to post this week's CTST a bit early. This wonderful and versatile hop is hosted by Lexa Cain, and her wonderful cohosts: L.G. Keltner and Tonja Drecker! Today is a big celebration for my husband and I: our 14th wedding anniversary! Fourteen years ago, we were married in Geneva, NY. Now we live in a suburb of Greece, NY. If you don't mention the state, we sound like a pretty ritzy couple, no? Last week I went to Rochester's Lamberton Conservatory with my girls and had a ball taking pictures of the flowers, turtles, tiny quail, and even a Lucky duck. Enjoy! The cactus garden. Sit at your own risk. Are you participating in the IWSG Twitter Pitch? Seen any cool wildlife lately? Yes, three little bunnies playing tag in my backyard. They were adorbs! Good luck in the twitter pitch party. I like the Tweet about your mom loving it! Actually, my mom hasn't read it. Are all novelists good liars? It's part of the job, isn't it? I liked that pitch too. I'm glad you're working on those tweets. Not that I think each of your practice ones are lacking, just saying hone, hone, hone! Loved the pictures from your conservatory excursion. haha fun pitches indeed. Great pics and happy anniversary. We'd all rather be happy campers indeed I think. Happy anniversary. Your photos are beautiful. And those pitches - LOL! I love the first one. Love the turtle Jenga pic, too. Best of luck honing your Twitter pitch! Good luck on your twitter pitches. I haven't done it yet but I will when my manuscript is finished. And thank you so much for being one of the co-hosts this month. I so agree with you about the querying. It so depresses me, it just isn't worth it. Sigh. I love conservatories! What a wondrous adventure. Happy anniversary. I've only queried a couple of times and it was years ago. YUCK! Loved the tweets - lol! May your query process go smoothly and return great things. 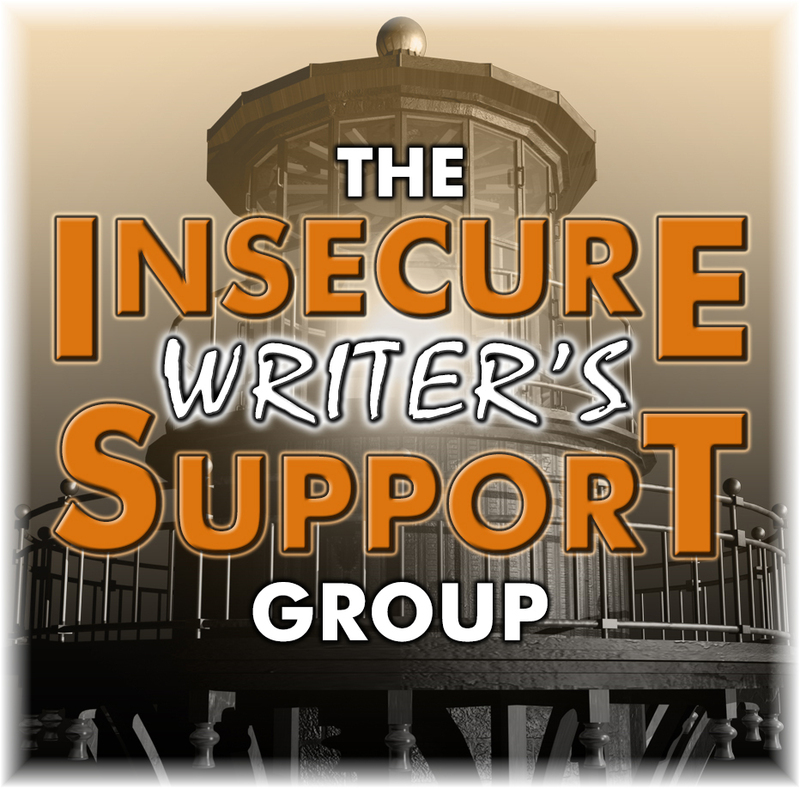 Thank you for co-hosting IWSG this month. Great pictures and love those Twitter pitches. Ha! Excellent. If I were an agent I would totally fall for tweet #1. Thanks for co-hosting this month for IWSG! Happy anniversary! That's worth celebrating. And good luck with the Twitte pitches. It is hard to say anything in 140 characters that really captures one's book! Your rejection tweets are funny. Loved your photos. Good luck with the Tweet pitch. I'm not sure I'll do it. Rejection Tweet #2 totally cracked me up. Good luck with IWSG Twitter Pitch Party! Love your rejection pile and that pile of turtles. Happy anniversary. We recently celebrated 35 years. Ha! This was my question. Yes, yes, I did have to put "valuable" in there. LOL! :p I'm actually the same way. I love to edit but hate to query. Thanks for co-hosting this month. Happy Anniversary. My 4th was a little tense with a shaking dog, but not too bad. He he, your rejected tweets are great. Nice photos. Where I live, wildlife is everywhere, even on the paved sidewalks. Your rejects made me laugh! :) I won't be pitching, but I'll watch on. I'm a monster when marketing too. Happy Anniversary! Happy 14th anniversary! My husband and I celebrate our tenth tomorrow. :-) I hope you can come up with a "non-rejectable" pitch (revealing a bit of your story in one line seems to be incredibly difficult!) by the end of the month. Good for you to be joining pitch party! Happy Anniversary. Loved the pics. Those tweet pitches were hilarious. Too bad they probably wouldn't work. But they're definitely good for a laugh! Happy Anniversary, Tamara! And it looks like you and the girls really enjoyed your visit Rochester's Lamberton Conservatory. I love the photos. Thanks for co-hosting this month's blog question for IWSG. All the best to you. Happy 14th Anniversary! Wow. Thank you for the beautiful photos, and for co-hosting this month. Love!- 2. Once upon a time a good character met a bad character and stuff happened. I'm still working on my Twitter pitches as well. Thanks for sharing! Happy anniversary. And you should totally tweet those. Just add a #worstpitch to it. Oh, that could totally be a thing! You should all get it trending on Twitter. I have a feeling I'd be rolling on the ground, tears in my eyes, my sides aching from all the laughing. Thanks for co-hosting. Fun tweets. Good luck doing the Twitter pitch contest. Wish I had something ready to pitch. But writing the dang pitch is super hard. Good luck with it. Happy anniversary! I also hate promoting - total understanding here. Those pitches are amazing! Happy Anniversary! OMG Number 4 hits the nail on the head for me. The other day in real life I had someone ask me what my book was about and I was like 'um, there's this guy and...' I felt so awkward saying it. I really need to write a post on that. Happy Anniversary! I love those pitches - hope to see a couple like that lol! Love the photos - especially the cactus garden :-) Good luck with your twitter pitches! No 2 works for me! I'm not ready to pitch yet, but it will be interesting to watch the Pitchfest just to see how everyone else manages to squeeze in the pitch in so few letters. Happy Anniversary!!! I'll be on vacation for the IWGS pitch party. I just called the owners of the cottage where we're renting and they don't have the internet!!! The conservatory looks awesome. Thank you for co-hosting, Tamara! Thanks for sharing your pics! Good luck with the TWITTER PITCH... Had a good laugh on your 'possible' pitches. Happy anniversary - and good luck with Twitter. I'm not on Twitter and have o plans to be any time soon, but I think that might be a mistake! Your Twitter pitches have me cracking up. I think the funniest thing is that I've seen tweets that are SO close to that, but serious. I love your rejected tweets LOL LOL. I think you should change your mind about #5 - it's a winner. Happy Anniversary!! Love your pics as always. Thanks for co-hosting this month and congratulations on your anniversary. Those Twitter pitches made me chuckle! I've been doing similar myself recently . . . why is it so hard to condense a book into a few words? Good luck with nailing it. I've been so all over the place the last couple of weeks I actually forgot about IWSG this month . . . sorry everyone. Thanks for visiting and co-hosting though. 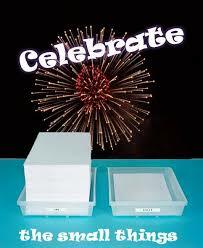 Congratulations to you and your husband on your anniversary. I've never done a twitter pitch before but I think those who do this are very brave. Good luck on the Twitter pitch! And I loved those tweets. They gave me a hearty giggle. Beautiful pictures! And I once knew a literature teacher who said that you could really show you knew your Shakespeare by telling the story in a limerick. I had a lot of fun trying to do the Scottish Play as a limerick... I succeeded, but I don't recall the last line. I'm definitely happier writing/editing than marketing. Happy Anniversary! And I love those pictures, especially the one with the quails. So cute! Ooh, cool pictures. Happy anniversary! Hey, if I hear of a "really bad Tweets" event, I'll let ya know. heehee. Happy Anniversary! You guys are still honeymooners, aren't ya? :D I'm still a work-in-progress when it comes to writing but everything I pick up I consider it a "valuable" lesson learned. One thing important lesson I learned is to try to write simple and from my heart. If I pull this off successfully then it always makes me feel good. I still have loads to learn, though. What's this tweet pitch thingy-a-ma-gig? I reckon I need to check at Alex's site to get the 411 on it, huh? Oh, well your tweet reject pile was funny. :D Have a fantastic weekend! BTW, any news on how Lexa is doing? I was concerned to read last week that she's not doing well. I sure hope she's feeling better. TTFN! These are great pictures! Congrats on your anniversary. Congratulations on your wedding anniversary. What a great way to celebrate! Those pitches in your reject file made me smile! Happy Anniversary to you and hubs! TheConservatory looks wonderful. Luv a duck. I had one nesting behind my garden shed recently. Sounds like me--the Twitter Pitch. Boiling 80,000 words into a sentence of 140 characters is tough. Happy belated anniversary! Those pitches are awesome. Totally cracked me up. Ever consider writing comedy?